War Thunder is a top online MMORPG where players take control of different vehicles in this frantic PvP MMO game. The game is set during World War II and features a range of countries which each have unique vehicles. 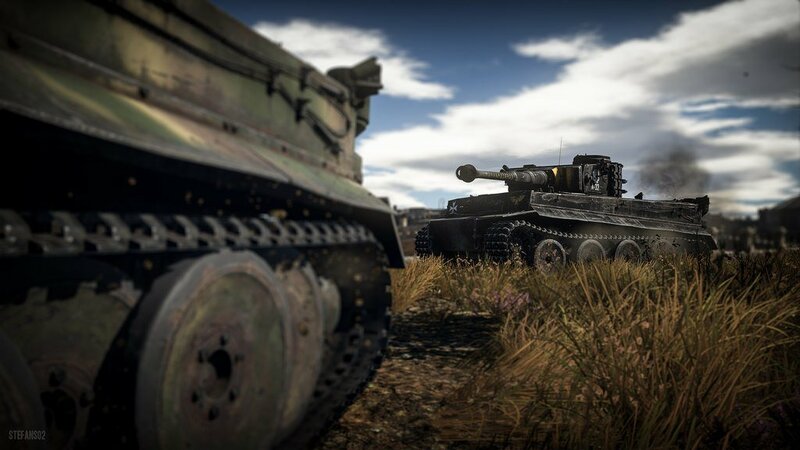 Unlike most other games in this genre, War Thunder features ground, air and water based vehicles all on the same map and battles. As a result, It’s one of the most diverse MMO action games currently available among the others. This MMO action game allows players to engage in realistic air, ground and sea battles all on the same map. The incredibly diverse nature of the game doesn’t end here however as it also extends to the rest of the game. This War Thunder review will be taking a look at how diverse the game really is and if it’s worth playing. There are three main game modes in War Thunder for players to choose from. They each become steadily more difficult and make the gameplay more realistic for a truly immersive experience. The most casual mode is “Arcade Battles”. It features a simple user interface and allows players to use whatever controller they wish as they engage in epic battles. “Realistic Battles” is slightly more difficult. In this mode, players are forced to return to their team base to restock ammunition on a regular basis. During this mode, every shot counts and it can result in highly strategic maneuvers. In addition to this, players can only select vehicles from one nation during this mode. This allows for players to fight out historical reenactments of real World War II battles. The final mode is “Simulator Battles” which requires all players to use a joystick, steering wheel or gamepad to play. As a result, this mode has a limited number of players on PC and players are also forced to play in first-person. While this sounds like a great idea, the first few matches can be quite disorientating and this mode is typically filled with very experienced players. Taking part in this mode is only recommended after fully understanding the gameplay and game mechanics. As expected, players can only select from a single nation’s vehicles for this mode. There are currently 80 different maps in the game which are set and inspired by different historical locations from World War II. In addition to the PvP modes which some would argue are the core of the game, there’s also an extensive single player and co-op modes. The PvE content includes dynamic historical campaigns and fun solo missions which suit the historical setting nicely. These are great alternatives to the PvP modes. With over 800 highly detailed vehicles to choose from, it’s difficult to become bored of the vehicles in this online MMORPG. There are over 350 aircraft and more than 150 tanks currently in the game. Each vehicle has unique stats that can also be upgraded and customized to create a stronger playstyle. However, the customization in this game is quite limited so players may not pay much attention to this feature as a result. Despite this, it’s possible to upgrade different skill areas to create a build which suits any type of playstyle. Upgrading vehicles do require Research Points or premium currency. RP are earned at the end of each match and there are three areas which can be upgraded on each vehicle. However, these stats have a very small impact on the gameplay at lower levels so most players will not notice the difference. Vehicle statistics have a stronger effect on the actual gameplay. This War Thunder review has looked at the game in detail to explain and evaluate the different features in this online MMORPG. It’s clearly a solid MMO action game filled with a great variety of vehicles. The inclusion of PvE is a nice touch also as many games in this genre actually lack this aspect so it’s great to see it in this game. Plus, the PvE side feels very strong overall and not like it was added at the last minute or as a second thought. War Thunder is a great MMO action game and fans of this genre should definitely check this game out.